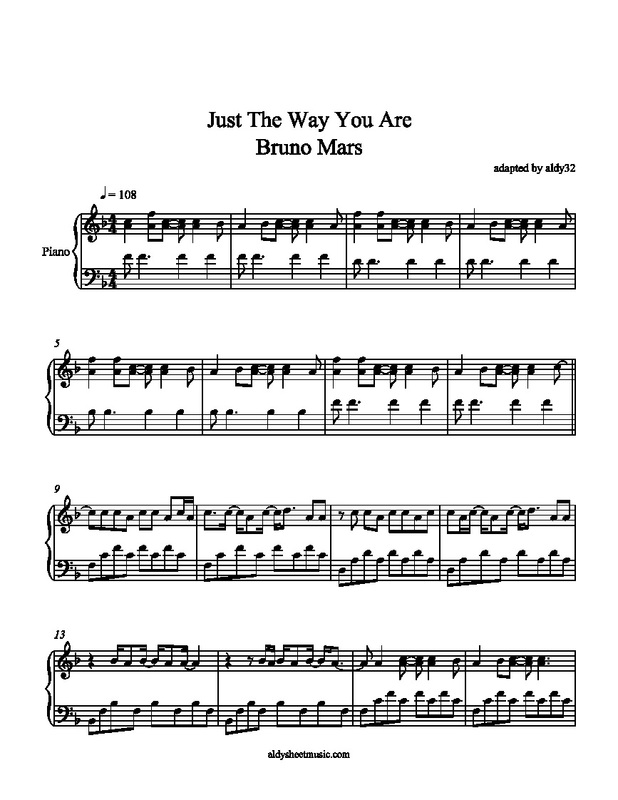 Sheet music for Just The Way You Are by Bruno Mars. Adapted by aldy32. Difficulty is advanced.